Our specialists can help explain complicated SMSF strategies in language you understand. We have a team of SMSF specialists ready to use their experience to help you understand complex SMSF tax strategies. Whilst there are many complex tax strategies open to SMSF trustees, we find ourselves most commonly explaining those related to property acquisition. You can read about two of the more common property related SMSF strategies below, but feel free to contact us to learn more! Self-managed super funds (SMSFs) can use the borrowed monies to purchase a single asset, or a collection of identical assets that have the same market value. 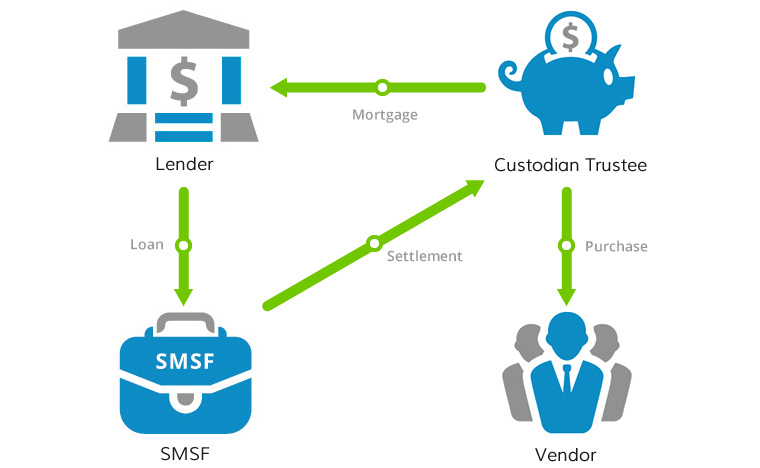 The SMSF trustees receive the beneficial interest in the purchased asset but the legal ownership of the asset is held on trust (the holding trust). The SMSF trustees have the right to acquire the legal ownership of the asset by making one or more payments. Any recourse that the lender (or other party) has under the Limited Recourse Borrowing Arrangement (LRBA) against the SMSF trustee is limited to the single fund asset (including rights to income). 4. The SMSF will make a deposit for the purchase of the asset. 5. The lender then lends the outstanding amount to the SMSF to purchase the asset. • The asset is one that the SMSF would normally be permitted to acquire. • The lender's recourse is only against the asset and not against the fund. Generally, an SMSF cannot acquire an asset from a related party. A related party includes yourself, a relative and your business among others. However, this rule does not apply when dealing with property that is classified as business real property. A business real property is one that is used wholly and exclusively for business – regardless of zoning and regardless of who is running the business (i.e. it need not necessarily be your own business). The diagram below explains this. • The property must be a business real property. • The property can not be used personally. • If you operate your business through asset owned by SMSF, a commercial rate of rent must be paid to your fund. • The property can provide regular income for an SMSF while the business paying rent receives a tax deduction of the expense. Please contact us today on 1300 873 733 and one of our consultants will answer all your questions at no obligation to you. Whether you have an existing SMSF or need help in setting up a new fund, we will be more than happy to help.